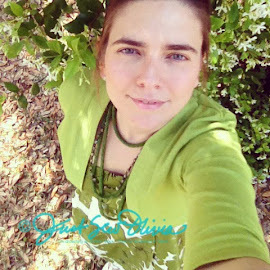 About seven months ago, we experienced a serious upheaval. We not only moved into a new home, but also introduced a whole new dynamic to our house by bringing Momma to live with us and setting Daddy up in a sweet bachelor's pad down the road. The change to routine overwhelmed me a bit, and getting the new house looking pretty took a backseat to the tremendous responsibility of keeping the entire family -- six people from ages 2 to 76 -- on track. When I think of placemats, I think of something soft, easily laundered, pressable, not readily apt to show stains, and with a look that highlights the plate in the center. 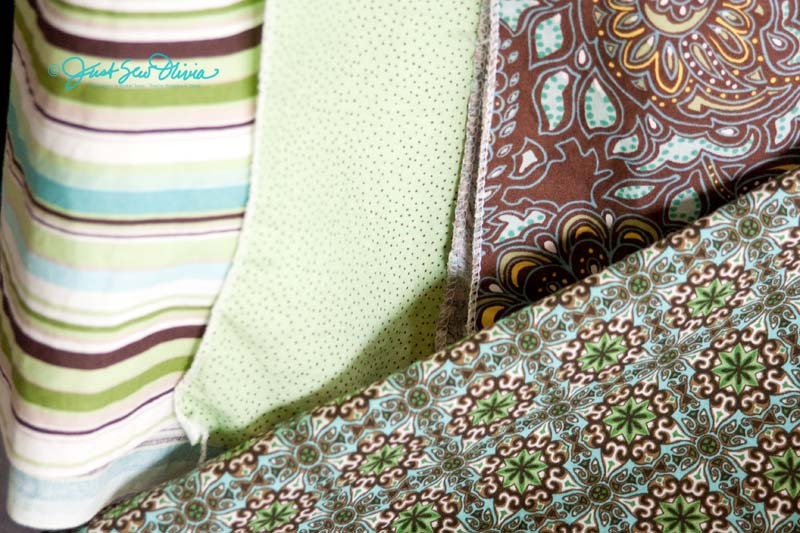 With those thoughts in mind, I decided to make mine from 100% cotton quilting fabrics, in patterned pieces that would hopefully camouflage the spills my kids (and clumsy self) are sure to inflict. I also wanted them to be reversible, in case I had last minute company and needed a quick fix. First things first, it's always a good idea to sketch your idea to scale and take measurements for each piece and then add seam allowances for your buy and cut lists. 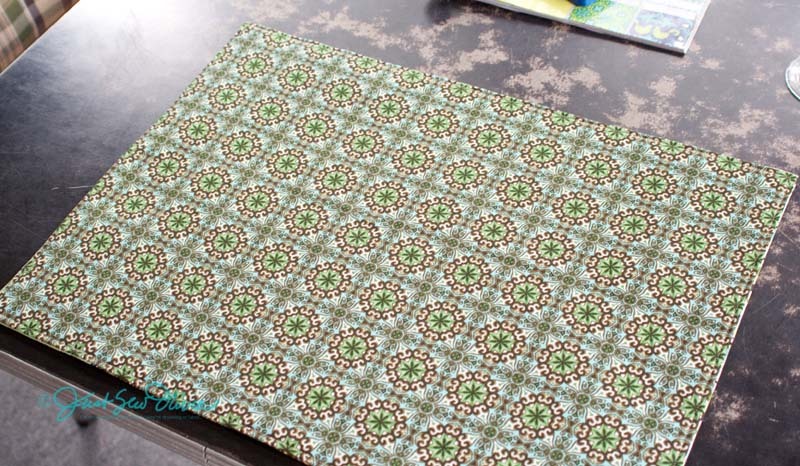 (Reference Fabric C *note below.) I loooove graph paper. 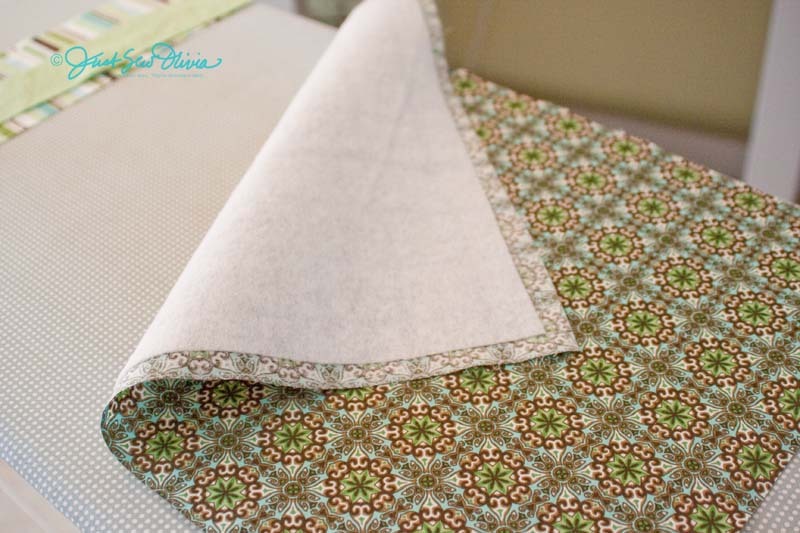 I chose three pretty prints for the main side, with a big bold pattern for the center (Fabric A), tiny dots for a small strip border (Fabric B), and multicolored stripes for the outermost border (Fabric C). 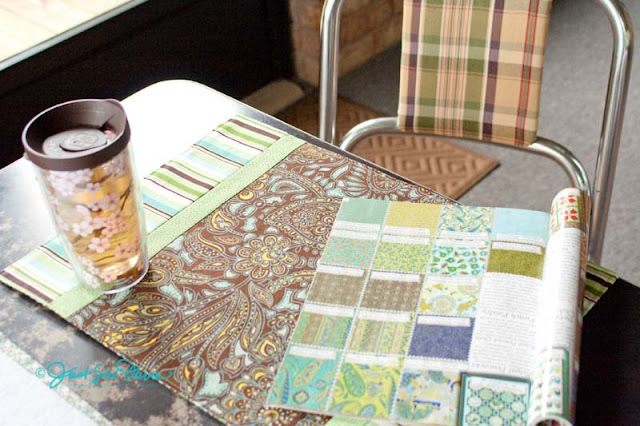 I chose a complementary patterned backing fabric (Fabric D). 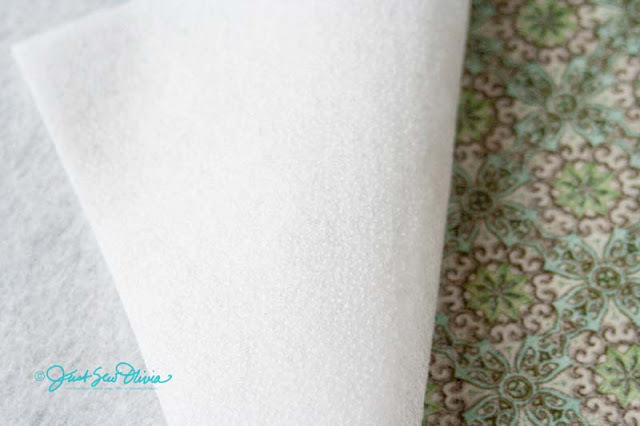 You'll need larger quantities if you decide to fussy cut any motifs like, say, putting the urn-like center of a damask print down the middle. Likewise for some directional elements. 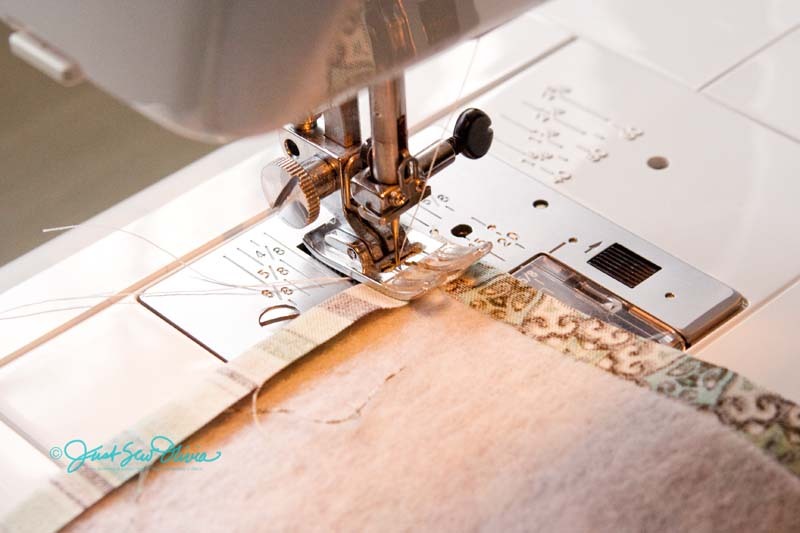 One note before we start stitching all this mess together: My tutorials assume you have a basic understanding of some sewing terms, but they're perfectly suitable for the relative beginner. 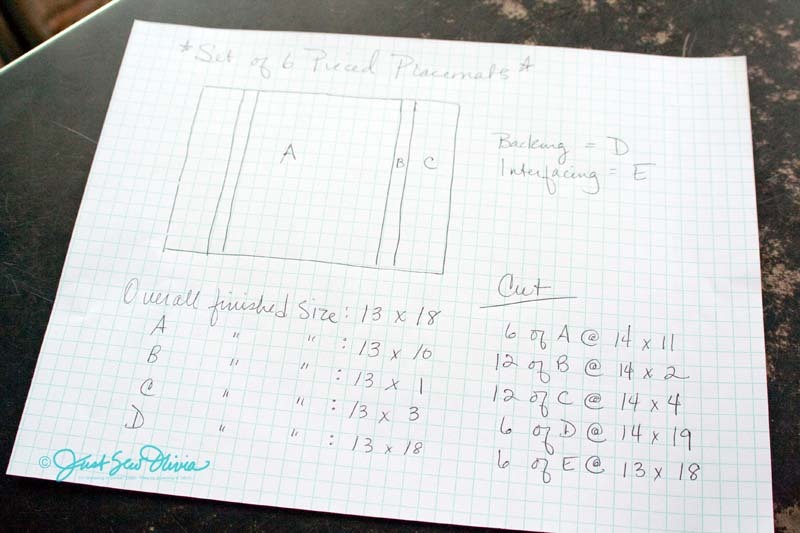 If you ARE a beginning sewer, you might consider putting together one placemat to start, then following up with the other 5 after you're confident in the steps. That way, if you get stuck, you can ask for help before you get quite so far into the process. 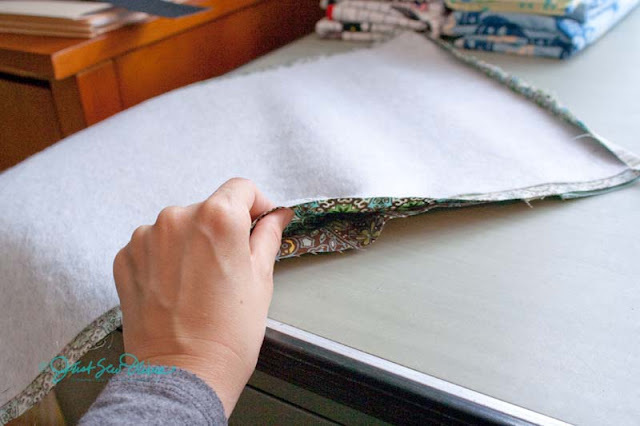 Believe me -- as a self-taught sewer I get it -- nothing is more demoralizing and demotivating than wasting a big pile of brand-new fabric because something wasn't clear. 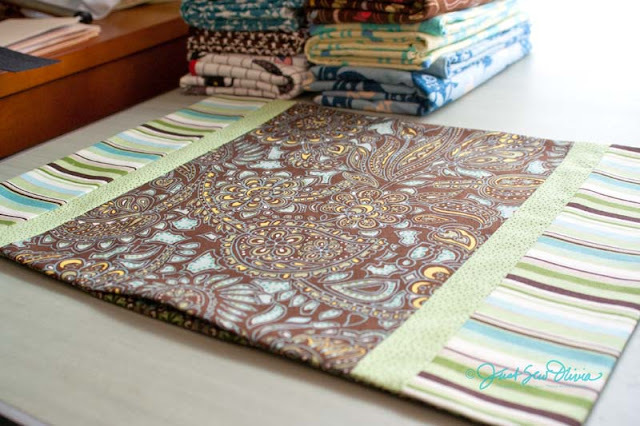 The wonderful, inspiring flipside to that coin is that nothing will get you more jazzed about sewing and quilting than a big, fat, honkin', beautiful WIN! 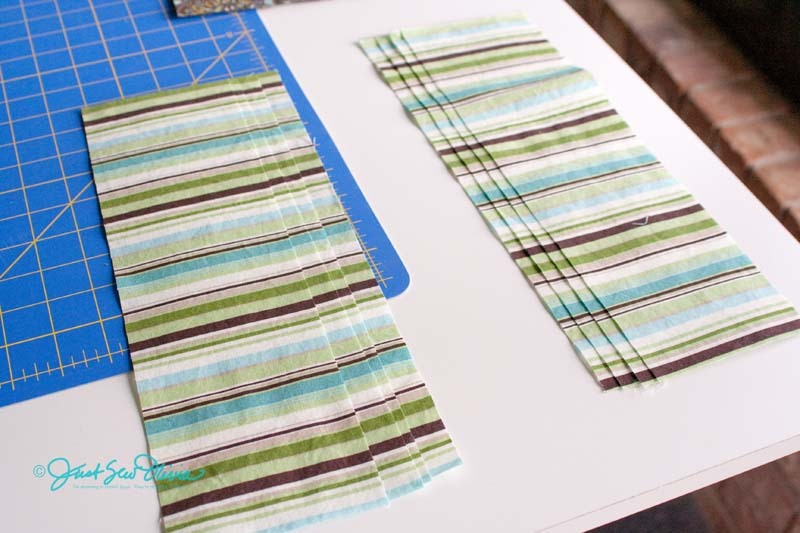 Repeat the same process, only this time sew the 4-in strips (C) to the raw edge of the previous strips (B). Again, press. This will complete the top side of your placemat. 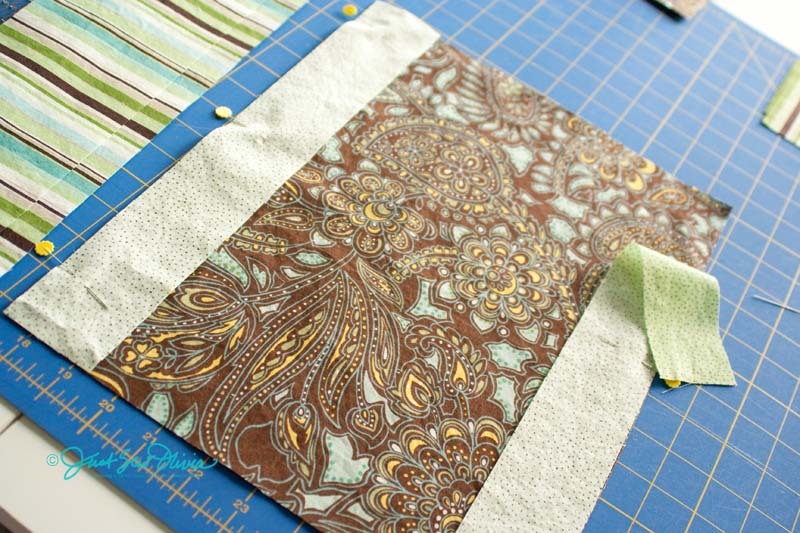 Next, lay the fusible fleece (E) rectangles centered on the wrong side of the backing fabric (D). 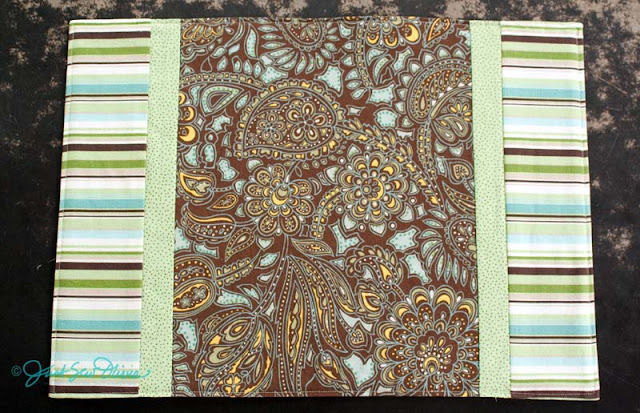 You should see 1/2-in of the backing fabric (D) extending beyond the outer edge of the fusible fleece (E) on all sides. 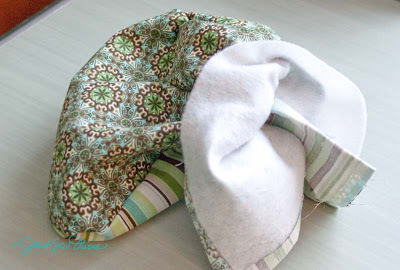 Using the manufacturers instructions, adhere the fusible fleece interfacing to the wrong side of the backing fabric. Generally speaking, you should iron the layers together without putting the iron directly on the interfacing. 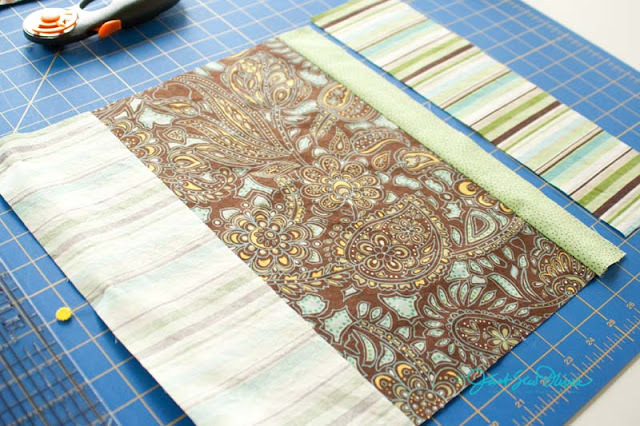 Either way, you should know for sure which side of the fusible you're putting against the fabric. 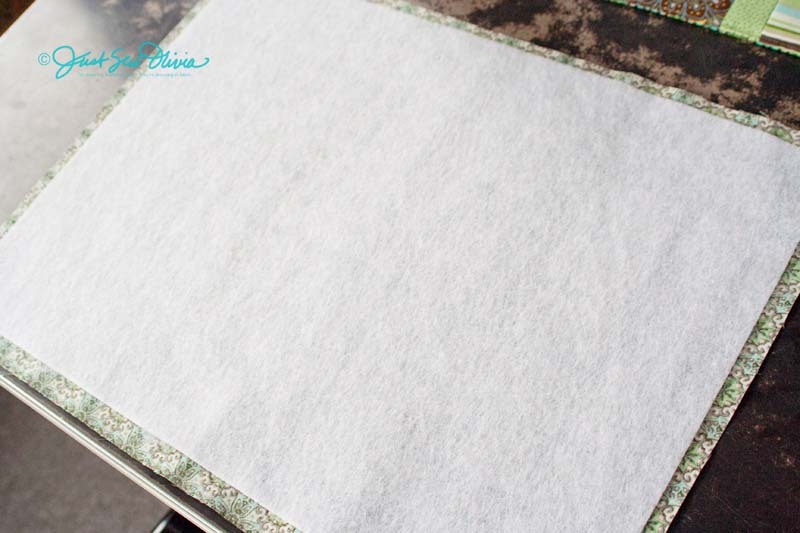 It's no fun peeling a fusible off your ironing board (or your iron! )...so take a look and make sure the side with the little dots of glue is against your fabric. See the dots? That's the glue side! 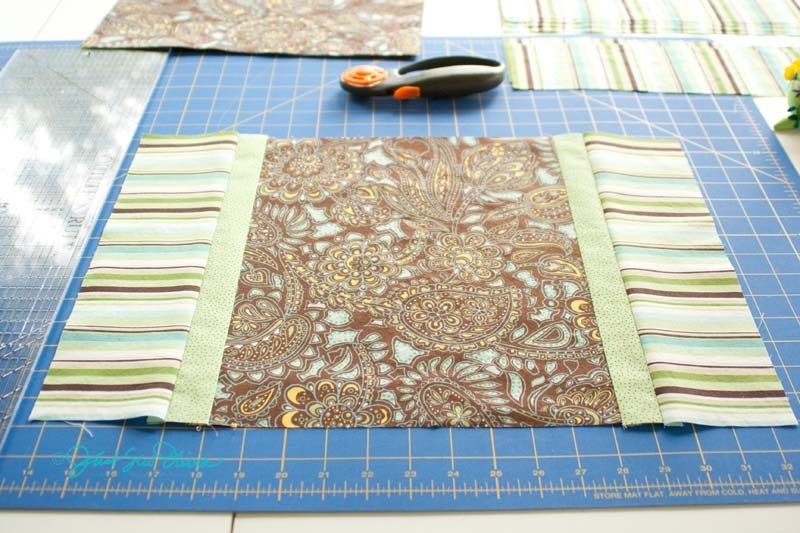 Now it's time to attach the front of your placemat to the back. 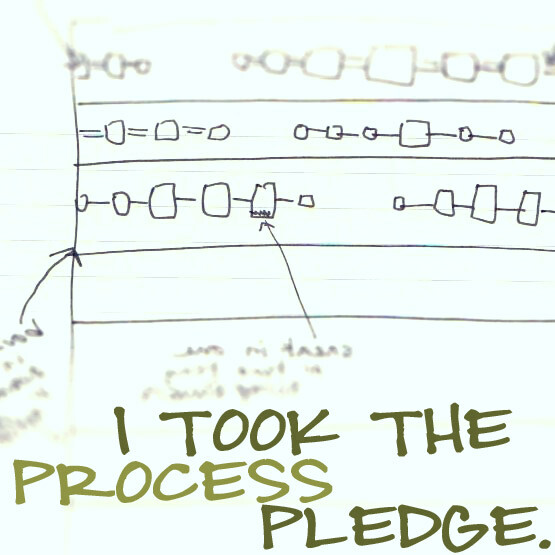 We're going to do this a little differently than you may have been taught in the past. With right sides together, first you should pin and sew either end of the placemat. 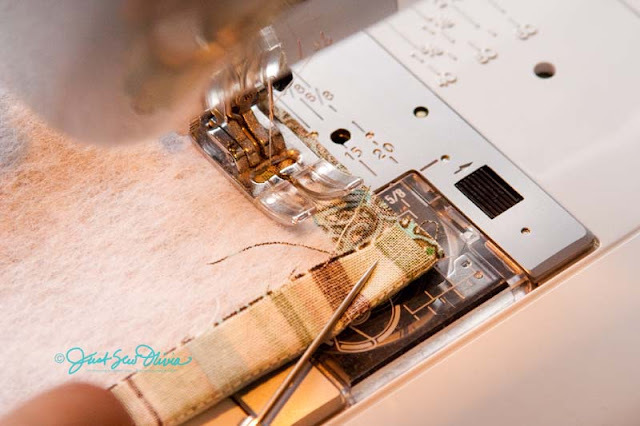 We're only sewing the short sides of the front and back together at this point. 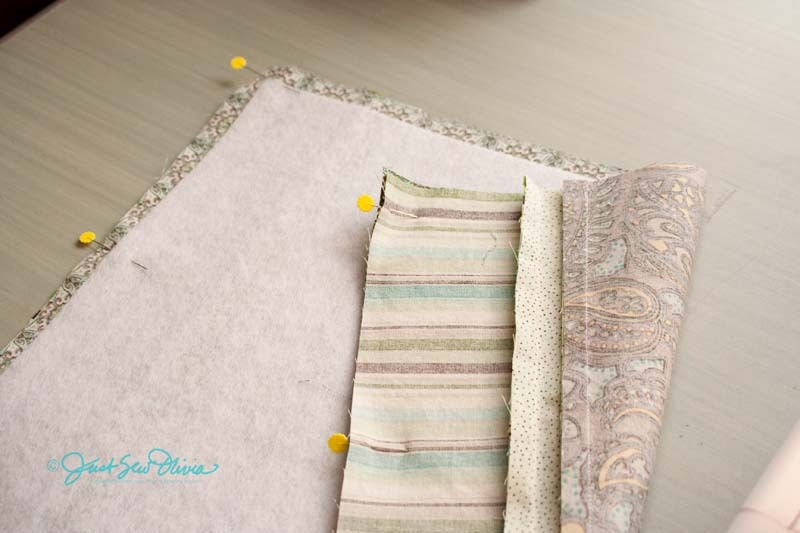 Next, press the seam allowances on either end toward the fusible fleece on the wrong side of the backing fabric. 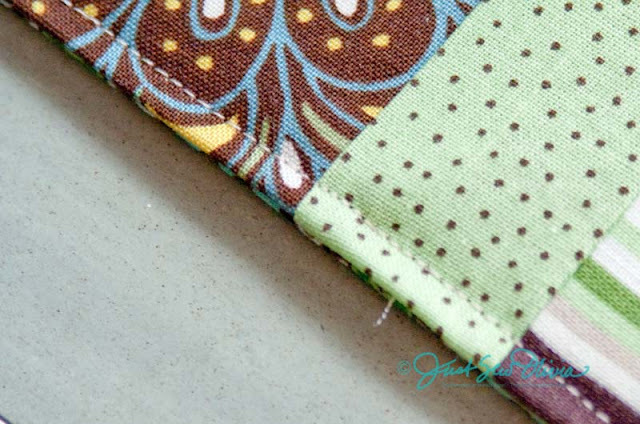 If you do this correctly, you should see the stitches from joining the end right on the edge of the fold created by the pressing. After you press, stitch down one long side of the placemat, still on the wrong side, making sure to catch the folded-over seam allowance both at the beginning and end of the seam. 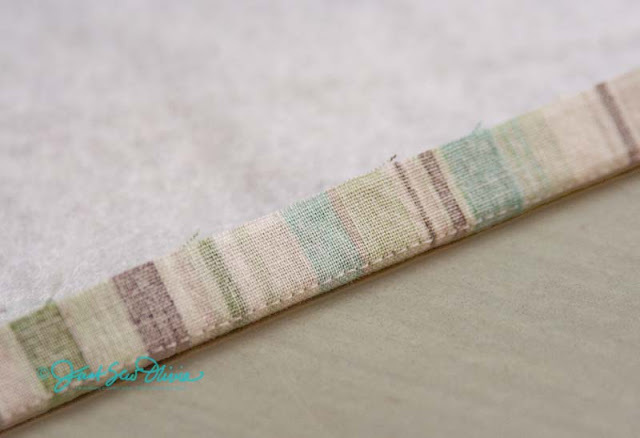 Repeat on the other long edge, leaving a 4-in gap unsewn in the center of the seam line. This hole is where you will turn the placemat right side out. Do that now! :) Once you turn the placemat right side out, you'll want to use something small and pointy to push the corners out. Thanks to the supercool technique we used to stitch the seam allowances down, your corners should be nice and crisp. 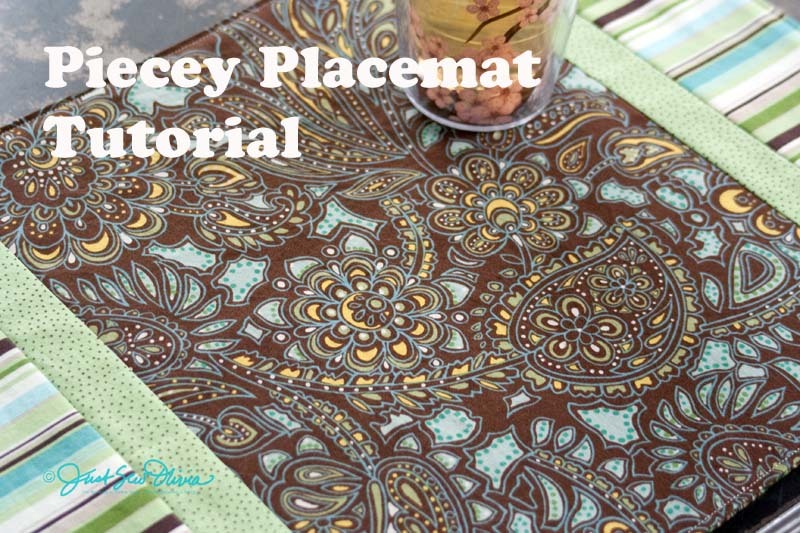 Okay, once your placemat is turned and your corners pushed out, you should flatten your placemat down and press it. Do this carefully, and press under the seam allowances where we left our hole for turning. Now for the final step... Topstitch your placemat around the edges, approximately 1/8 - 1/4-in from the outside edge, making sure to catch the turned-under seam allowances where we left the hole in the side. If you really want to protect your new creations, consider spraying them with a coating of fabric protectant -- I do that with the ties I make for Keith and the kids, too. You'll need to repeat that step after every laundering. I personally use Scotchgard, but any similar product should work. Whew! Great job! You deserve a break! Nearly every tutorial I've ever read was missing a step or a photo. While I can't promise to recreate a project to make a specific picture, I'll certainly do my best to help out. Don't hesitate to ask questions!